In June our smooth/standard dance is American/International Tango and the latin/rhythm dance is Hustle. 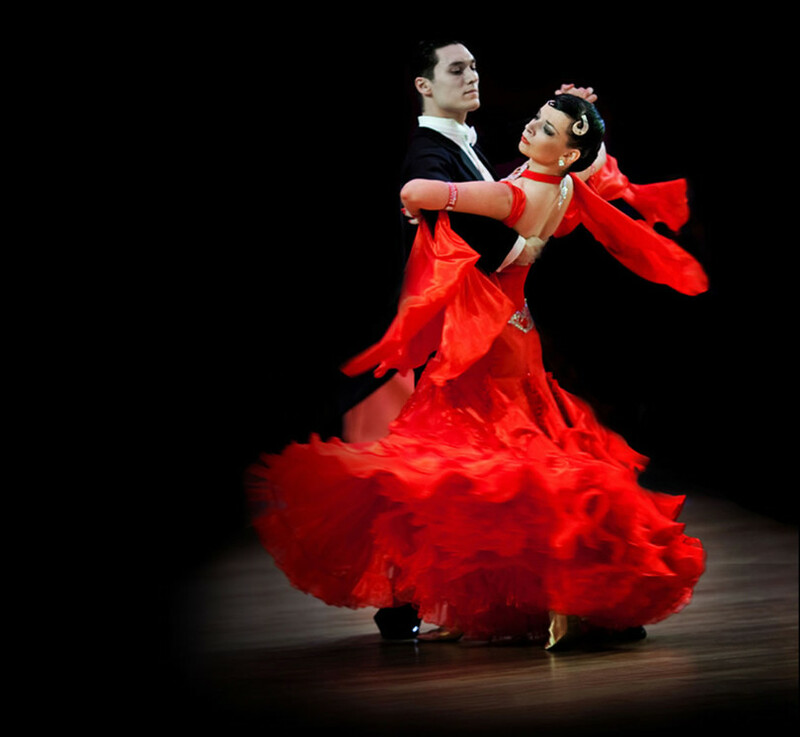 The Tango is very popular because it is seen as a more exotic dance, on the other hand the Hustle is popular because the rhythm is found in many popular and contemporary songs by artists like Maroon 5 and Lady Gaga. Tango is a partner dance that originated in the 1880s along the River Plata, the natural border between Argentina and Uruguay, and soon spread to the rest of the world. Early tango was known as tango criollo (Creole tango). 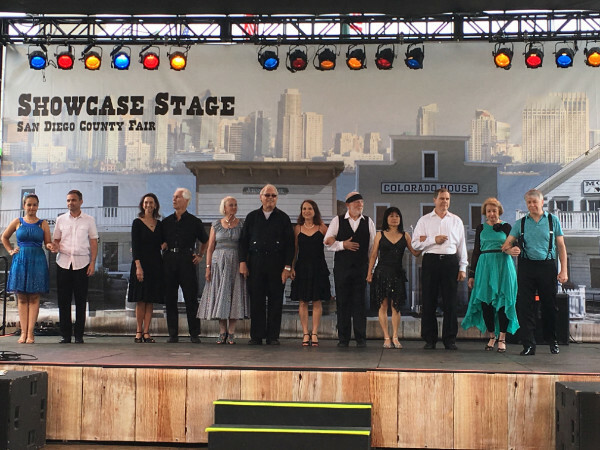 Today, there are many forms of Tango danced in the US. Popularly and among tango dancing circles, the authentic tango is considered to be the one closest to the form originally danced in Argentina and Uruguay. Tango is an iconic dance, that's why you see it in Bond movies, Scent of a Woman, and many others - even the Addams Family! The walking movements exhibit a variety of different characteristics expressed by the couple and are unlike the walks of other ballroom dances. Movements are sometimes slow and slithery, and other times sharp and staccato, such as a quick foot flick or a sharp head snap to promenade position. Hustle is a catchall name for some disco dances which were extremely popular in the 1970s. Today it mostly refers to the unique partner dance done in ballrooms and nightclubs to disco music. It has some features in common with swing dance. Modern partner hustle is sometimes referred to as New York Hustle. We have one dark night on the Sunday June 3rd. 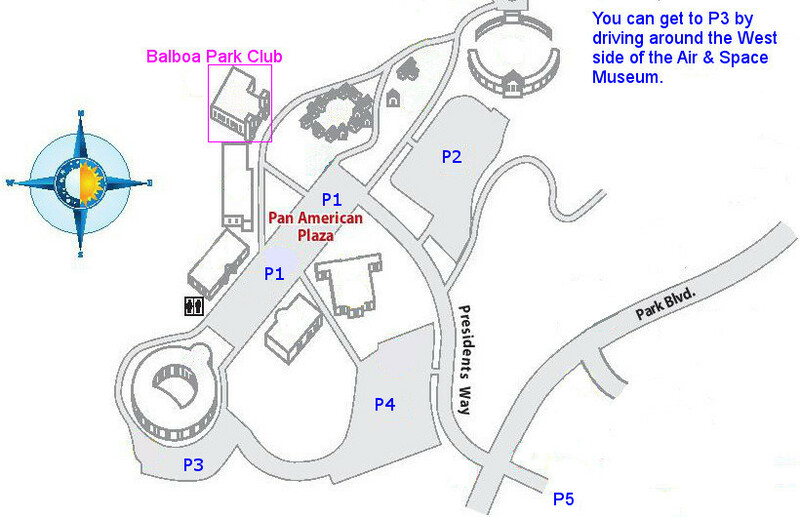 Note that the park has commenced Food Truck Friday so parking will be tight on Friday nights, allow for extra time and check our hints page for additional parking. The party is on June 8th hosted by John Nagel. Remember to check the calendar in case there are last minute cancellations. 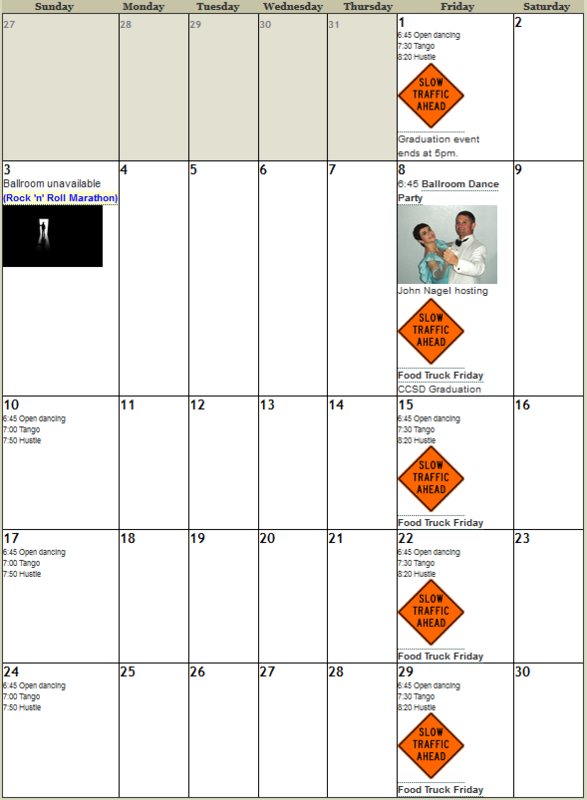 Click the calendar image above to view the online calendar. The party will be hosted by John Nagel. 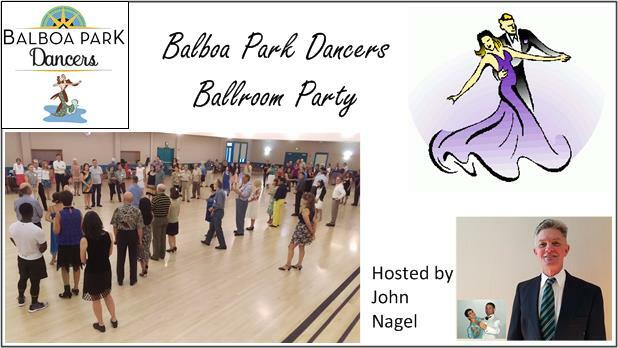 John Nagel has been teaching people to dance for over 15 years. His skills stretch from International and American Ballroom to many of the popular street dances. His high-energy and fresh approach add excitement. John and his talented wife, Lisa Duncan, dance together all over San Diego. John currently teaches our beginning level dance class. 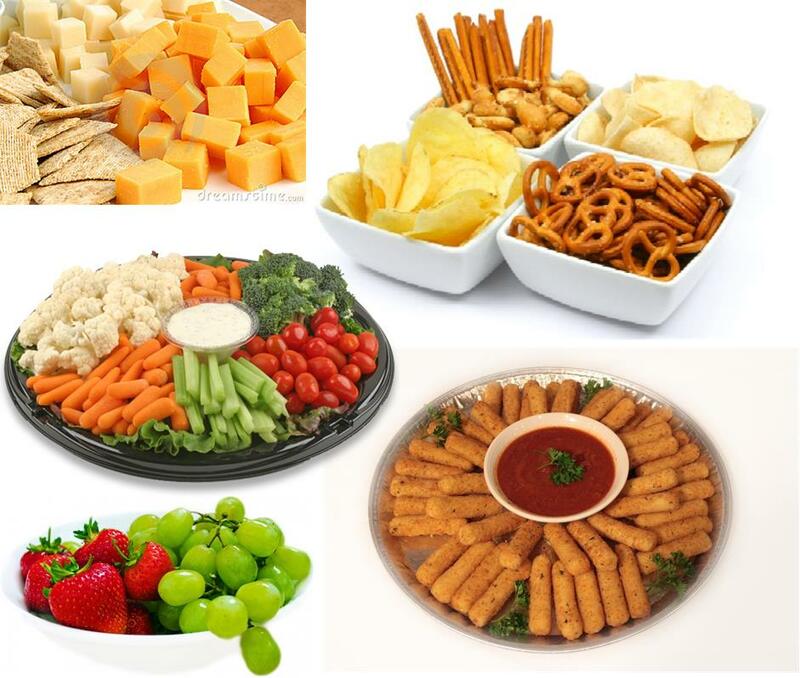 Our parties are a potluck affair, we ask attendees to bring finger foods - sweet and savory - in disposable containers ready to serve. Too many people bring sweet items such as cookies and cakes, unless you have an overwhelming sweet tooth think about bringing chips, pretzels, crackers, or vegetables instead. 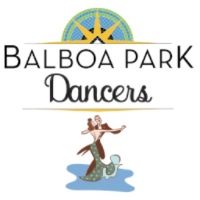 A group of your fellow dancers will be performing at the San Diego County fair at the Del Mar Fairgrounds on June 30th at 6:00pm. If you are attending the fair this year we would appreciate you supporting the club that day at the Funville Stage. 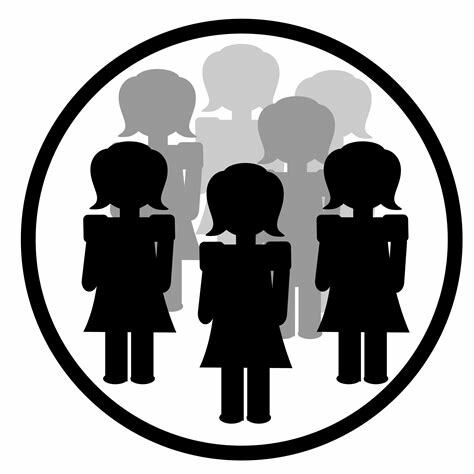 The club is required to hold general membership meeting at least twice a year. The next scheduled meeting will be on June 10th with a follow-up on July 8th. 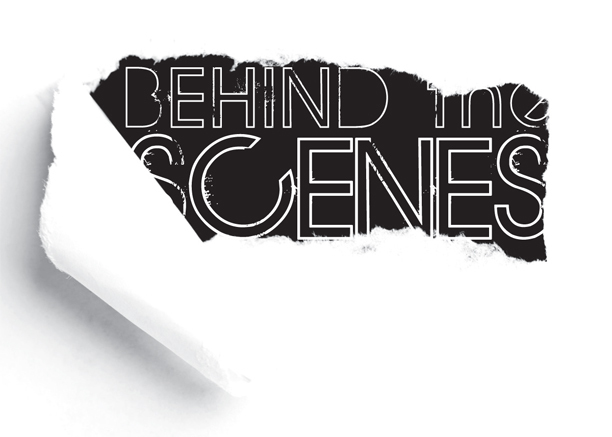 Lots of work occurs to keep the club operating. Every member of the board dedicates time and energy to keep the doors open, instructors teaching, and music playing. 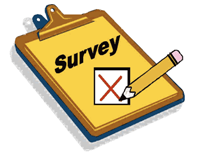 When you submit written or electronic comments we discuss the issues at least once a month. Our cashiers work hard to get you in the door. You can help them by having exact change and have your membership card ready for scanning; this gets you into the ballroom more quickly and is a courtesy to those in the line behind you. The membership fees cover the club's insurance costs and capitol expenses such as the sound system. The attendance fees pay for our instructors and DJs. The majority of comments we receive are about the music; typically one-half state they like the music and the other half are.... not so complimentary. It is not helpful to say "I don't like _____", we need you to offer alternatives so we can act. Suggest music to add: it must be in electronic form, be readily available, and be covered by our license. You can reference a selection via youtube but if it can't be purchased from Amazon or other authorized vendor we can't use it. If it is not licensed for our use we cannot use it. Note that almost every song available is covered by our license.